March 30, 2012  A government advisory committee has reconsidered its advice to keep certain details of bird flu experiments secret. Revised versions of manuscripts that describe two recent studies can be openly published, the committee now says. The decision could help end a debate that has raged within the scientific community for months. March 30, 2012  The film director James Cameron has just completed a dive to Challenger Deep, the deepest point on Earth at nearly 36,000 feet under the sea. His manned descent is the first in 52 years, since the oceanographers Don Walsh and Jacques Piccard explored the Mariana Trench in the bathyscaphe Trieste. March 30, 2012  The FDA has until Saturday to decide whether to ban the plastic additive BPA from food packaging. Some scientists think BPA poses a risk to consumers because it can act like estrogen in the body. 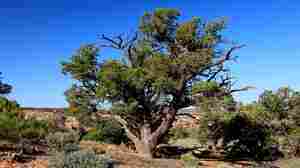 But recent studies by government scientists suggest the risk, if any, is minimal. March 30, 2012  The government released a new policy on how to handle legitimate biological research that could be misused in the wrong hands. The move comes as controversy still swirls around recent experiments with lab-altered bird flu. 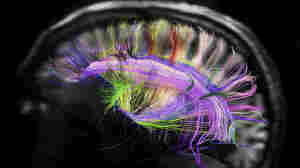 March 29, 2012  The human brain may be just three pounds of jelly. But it turns out that jelly is very organized. New scanning techniques show that the brain's communications pathways are laid out in a highly ordered three-dimensional grid that look a bit like a map of Manhattan. 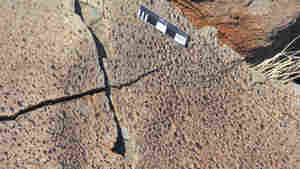 March 28, 2012  Ancient fossilized raindrops may offer clues to a paradox that's perplexing scientists: the Earth's atmosphere 2.7 billion years ago was similar to the way it is now, even though the sun was younger and dimmer. 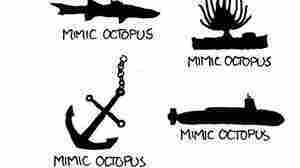 March 28, 2012  Here's a handy guide to the amorphous and vibrant mimic octopus, courtesy of the webcomic xkcd. March 26, 2012  Aside from urban legends about talking to your flower pots, is there any reason to study the effect of noise on plants? One ecologist says yes — because noise pollution can disrupt the behavior of birds and other animals that plants rely on. March 23, 2012  Whooping cough has reappeared in the U.S. and other developed countries in recent years, despite widespread use of vaccines. Researchers in Australia offer a partial explanation: they say the vaccine isn't tailored to fight some of the most common strains of the bacteria. March 23, 2012  One of the first American archaeological teams to work in Iraq in 20 years has recently returned from a dig on the outskirts of Ur. Team leader Elizabeth Stone discusses the team's findings, and what the artifacts tell us about life in the region thousands of years ago. Alan Alda Asks Scientists "What Is A Flame?" March 23, 2012  At age 11, actor Alan Alda asked his teacher what a flame was. He received a confusing answer: "oxidation." In the spirit of better communicating science, he's created the "Flame Challenge," a contest in which scientists do their best to define a flame. Eleven-year-olds from around the world will judge the entries. March 21, 2012  A pair of new studies find that taking aspirin daily may significantly reduce the risk of many cancers and prevent tumors from spreading. Many experts view the findings as promising, but public health officials warn that the risks may still outweigh the benefits. Domesticated Foxes: Man's New Best Friend? March 18, 2012  What if foxes could be trained and domesticated, much the way dogs were domesticated thousands of years ago? A nearly 50-year experiment in Russia is aiming at just that.